Attorneys for the U.S. Government Wednesday asked a federal judge to dismiss a lawsuit filed by 21 youths who want immediate action to curtail climate change. 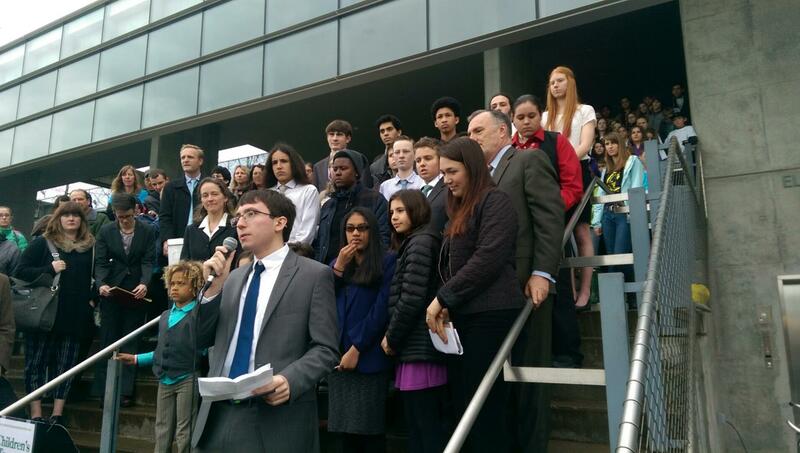 Hundreds of schoolchildren watched the hearing in Eugene. Federal judge Thomas Coffin heard motions from government attorneys and representatives of the fossil fuel industry who asked him to dismiss the case. The lawsuit, brought by 21 plaintiffs from across the country says the U.S. government fails to protect young people and future generations from the destructive effects of climate change. After the hearing, several of the plaintiffs spoke. 19-year-old Alex Loznak is from Roseburg. Children from Eugene area schools and as far away as Portland joined activists and attorneys and filled three courtrooms. If Judge Coffin doesn’t dismiss the case, he’ll hear it in Eugene.